Winter is definitely here, and for many that means high utility bills to heat their homes. While you can’t do anything about the chilly weather, you can take steps to make your home more energy efficient and pay less for heating. To start, the U.S. Department of Energy has a do-it-yourself energy audit on its website, or you can call a contractor for a professional audit. Homeowners should start with smaller tweaks to their home before making big-ticket purchases. “There are a lot of changes you can do before you get a new furnace,” says Todd Recknagel, CEO of AM Conservation Group in Charleston, South Carolina. What matters most is keeping the warm air in and the cold air out. There are a number of measures you can take to accomplish those goals, from inexpensive, do-it-yourself repairs to more pricey renovations that require hiring a contractor. 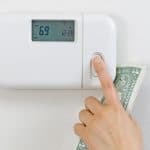 The areas where you can get the most energy savings for the money are insulation, windows and closing up cracks in walls, around windows and doors and any other spot where air might slip through. Few homes, even new homes, have enough insulation. Many developers build only to minimum code, and “half the homes in America are underinsulated,” Paulson says, so adding additional insulation can make a dent in your heating bill. Attic insulation deteriorates over time and needs to be replaced. 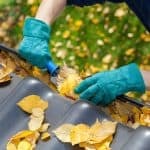 Some cities, counties, states and utilities offer rebates or incentives to help pay for home energy-saving improvements. The U.S. Department of Energy also provides some weatherization assistance grants, which are administered by states and other agencies. Caulk around windows and doors, and seal up cracks and holes. Not only are you keeping out cold air, you’re keeping out mice and other critters that may seek refuge. 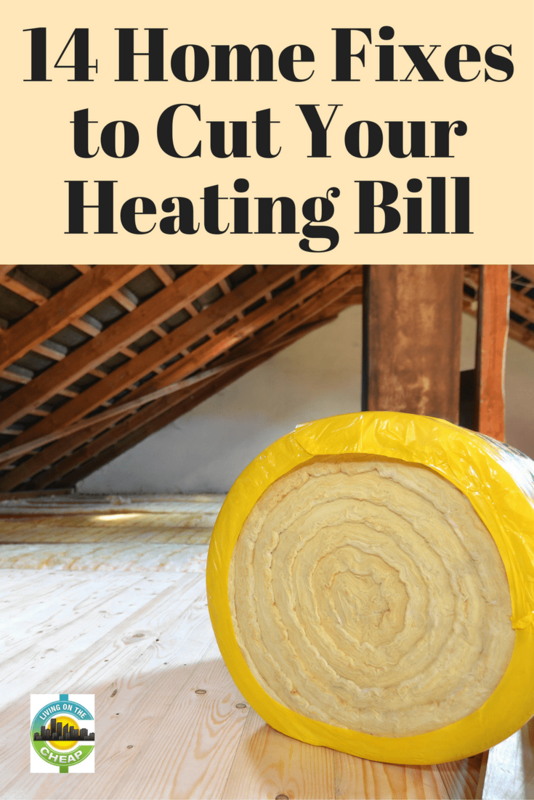 Consider sealing around the heating ducts in the basement and attic. If necessary, add or replace weather stripping. Put down area rugs on tile and wood floors. That creates a layer of DIY insulation, plus makes it more comfortable to walk in bare feet. Install glass doors to close off your fireplace. Those doors keep cold air from coming down into your house and your warm air from escaping up through the chimney. 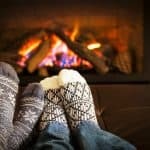 If you use your fireplace, make sure you close the flue when you’re finished. Insulate your attic door. You can buy covers for attic staircases or openings. They’re typically easy to install and remove, and they’ll help you reduce energy costs year-round. Cover your windows. If you don’t have storm windows, you can create your own DIY storm window with a window insulation kit. Inside your house, use insulated drapes. Buy insulated garage and exterior doors. The garage doors that come with most homes aren’t insulated. An alternative to replacing exterior doors is to add a storm door. Add insulation. 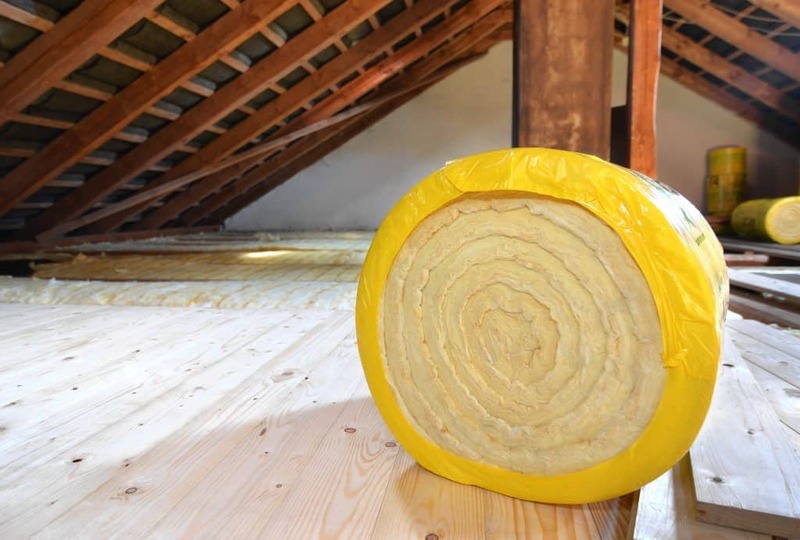 The obvious place to add insulation is the attic, but also consider the crawl space, garage and basement. If you’re doing any construction that opens up exterior walls, that’s a good time to add insulation in the walls. “If your house was insulated more than 20 years ago, an added layer in the attic always helps,” Recknagel says. Reverse ceiling fans. Running the fans counterclockwise makes it cooler during the summer months. Reverse them to run clockwise, and they will circulate the warm air back into the room. Change your furnace filters. Dirty filters make the furnace work less efficiently. They should be changed monthly during the heating season. Get a programmable thermostat. Each degree you turn down the heat saves 3% on your bill, Recknagel says. You can set the thermostat to lower the temperature after you go to bed and raise it when you get up, for example. You can also get the same results by manually lowering a conventional thermostat, but the key is remembering to do so. 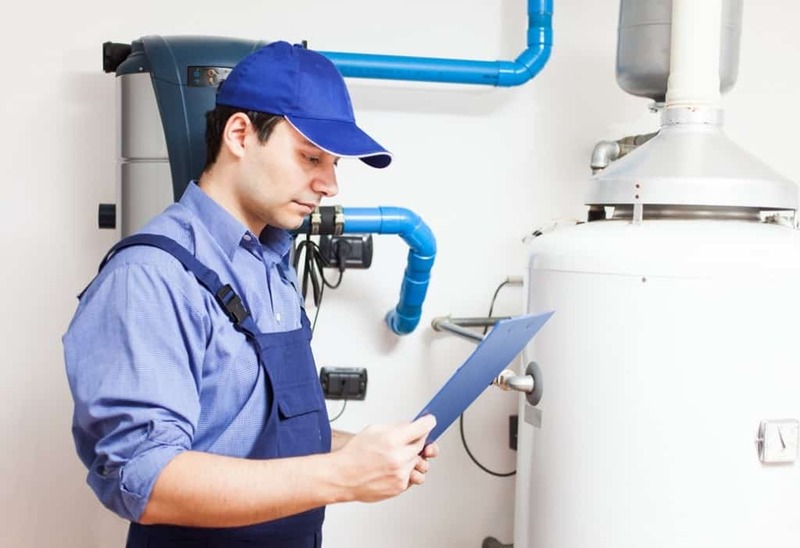 Replace your outdated furnace or heat pump. Newer units produce more heat with less energy. If you buy a new furnace, make sure you get the right size for your space. Put a blanket around your water heater. That seals in the heat and keeps the water hotter longer. Replace or repair thresholds and door sweeps. Since this is where your door seals shut, it keeps cold air from entering underneath and bringing down the temperature in your home. In a pinch, use a towel to cover a draft.